Islamists are able to take advantage of porous borders, weak central governments, undertrained militaries, and flourishing drug trades. 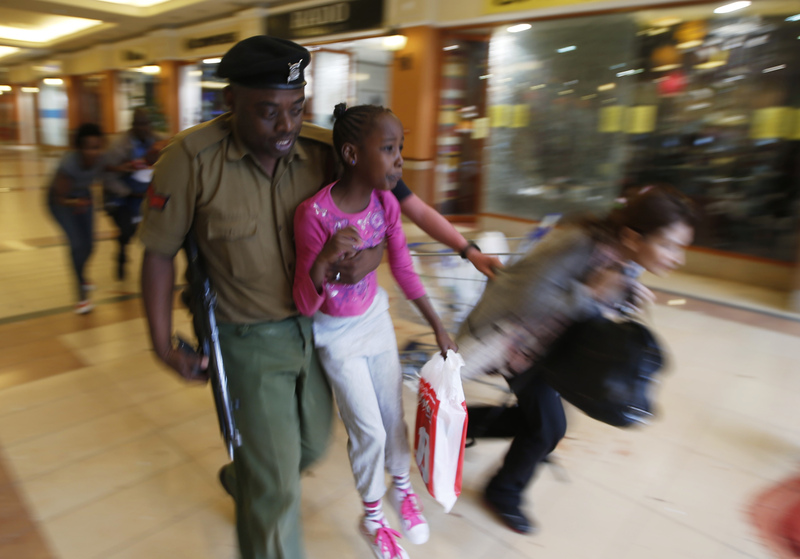 The horrific assault by al-Shabaab, a Somali militant group with ties to al-Qaeda, in an upscale shopping mall in Nairobi this week might have seemed like it was happening in an unexpected country. After all, Kenya is a stable, relatively prosperous tourist destination that rarely makes headlines for terror incidents. But several analysts have suggested that the attack is part of a broader spread of extremist groups throughout Africa. 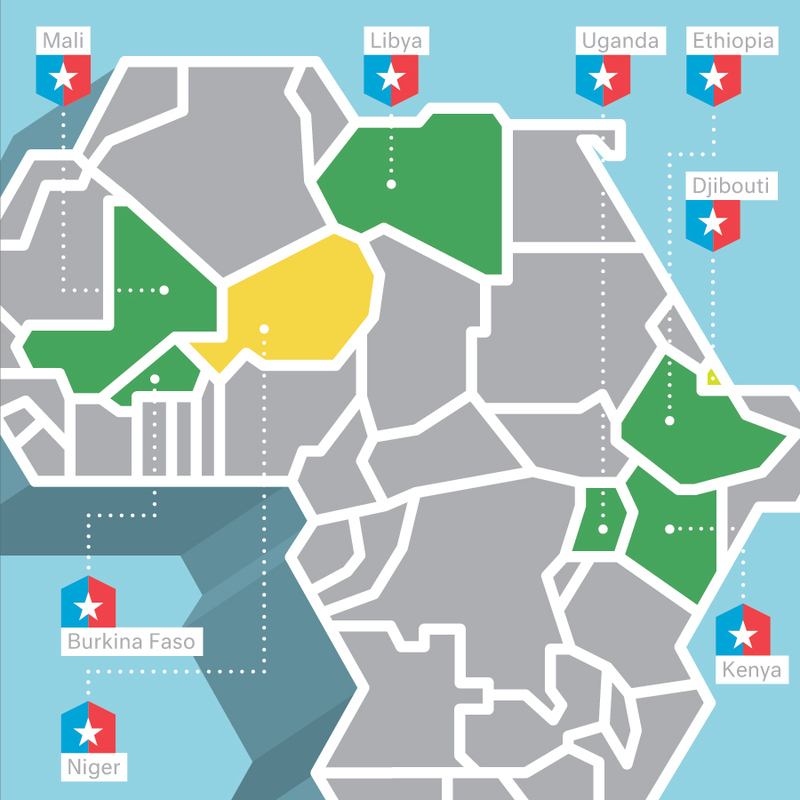 Fears about Africa’s emergence as a terror haven are unlikely to subside anytime soon. Africa’s Islamists are able to take advantage of the fact that many of the continent’s countries have porous borders; weak and corrupt central governments; undertrained and underequipped militaries; flourishing drug trades that provide a steady source of income; and vast, lawless spaces that are so large—and so far away from major American military bases like those in the Middle East and Afghanistan—that it would be difficult for the U.S. to mount effective counterterror efforts even if the war-weary Obama administration chose to do so. Those are precisely the reasons (along with a trove of Libyan weapons) Islamists were able to conquer northern Mali and use it as a base for planning the strikes on the uranium mine in Niger and the natural-gas plant in Algeria. Those are also the reasons American officials worry that a successful terror attack in the U.S. or Europe planned in Africa and carried out by African extremists is only a matter of time. The new face of militant Islam, in other words, is likely to be an African one. The country shares a long, unguarded border with Somalia, which smugglers use to ferry weapons and other contraband. Kenya has absorbed many Somalis, with a large concentration in the "Little Mogadishu" neighborhood of Nairobi. And some parts of this Somali diaspora support al-Shabab. But, as Dreazen points out, so far the U.S. military reaction has been somewhat limited, especially compared to our activities in Yemen, Pakistan, and elsewhere in the Middle East. The fundamental question confronting American policy makers is whether AQIM and Africa’s other Islamist groups have become enough of a threat to warrant a concerted U.S. effort to kill their key leaders and destroy their weapons caches and training camps. Doing so would be an extremely difficult task for the U.S. military because of the region’s size and remoteness, but it wouldn’t be impossible. In the end, it would come down to a question of American will, not American capability. Send troops in too soon, and a war-weary public will accuse the administration of jumping the gun. Wait until an attack has taken place, and the same public will lambaste the White House for not taking action earlier. The U.S. has largely ignored Africa’s Islamists for more than a decade. We keep doing so at our own peril.